RMC Notification 2018.Rajkot Municipal Corporation has released a notification for the recruitment of Staff Nurse, LT, MO & Health Worker vacancies.Check the eligiblity and notification prior to apply for the positions. MBBS holders can apply for MO post, PG holders can apply for pediatrician post, B.Sc holders can apply for LT and Staff nurse post, graduates can apply for senior clerk post and diploma holders can apply for worker post. Minimum age to apply for applicants is 18 years. Maximum age for X-ray technicians is 31 years, 40 years for staff nurse, 26 years for Multi-Purpose health workers, 25 years for Female Health worker, 36 years for Lab technician and 35 years for remaining post applicants. On basis of candidates performance in written test/ practical test/interview recruitment of candidates will be done. 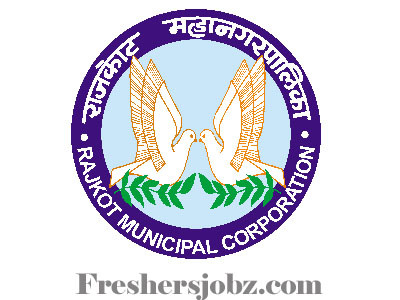 Mode of applying for Rajkot Municipal Corporation Recruitment 2018 is through online mode. Till 20th October 2018 contenders can register. http://117.240.113.212/ is the link to apply online.